Yasmin is seeking ways to improve the plant’s resistance to the most devastating pest affecting the soybean worldwide – the soybean cyst nematode, a small plant-parasitic roundworm. Her ultimate goal is to help alleviate hunger and poverty in her home country and worldwide, and to inspire women and girls to pursue STEM careers. 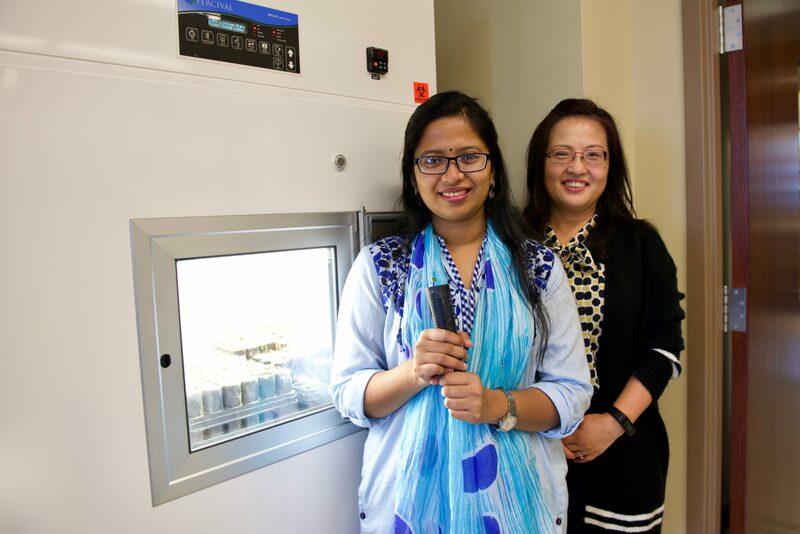 She is conducting research as a doctoral student in Bao-Hua Song’s lab in the Department of Biological Sciences. Issues include high infestations of insects and diseases that are resistant to current and often expensive pesticides; competition among crops for scarce resources, such as water and nutrients; and other problems, including the impact of climate change. Agriculture is the most important sector of Bangladeshi economy, affecting employment, financial security, and access to food. “A question always goes through my mind. How could this problem be addressed? How could I contribute my knowledge to improve the status of this agricultural sector? I am passionate about learning. 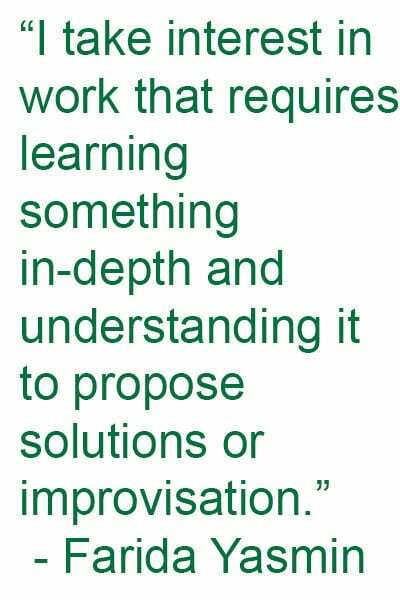 I take interest in work that requires learning something in-depth and understanding it to propose solutions or improvisation,” she said. Funding from the Schlumberger Foundation, through its prestigious Faculty for the Future Fellows program, is supporting Yasmin’s research, up to $50,000 a year. She and other fellows are expected to return to their home countries after their studies, to contribute to economic, social and technological advancement by strengthening the STEM teaching and research faculties of their home institutions, and to pursue positions in the public sector where their newly acquired technical and scientific skills can help provide evidence-based support for STEM policymaking. By becoming part of the Song lab, Yasmin has joined a research team that focuses on understanding molecular mechanisms and the evolution of plant biotic and abiotic stress response, using crop wild relatives as study systems. Song and her lab team apply their research in real world problems, such as crop improvement and human health. 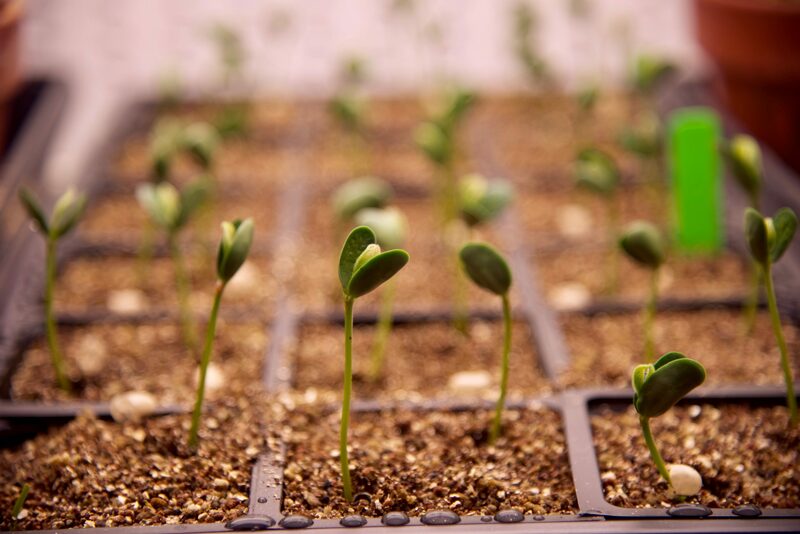 Scientific advances in whole genome sequencing, combined with “omics” technologies, have improved life science research, including with the soybean. Omics include genomics, transcriptome (a collection of all the gene expressions in a cell or an organism), metabolomics, and proteomics. Scientists analyze and mine soybean genomics data as they seek better understanding of how plant traits are regulated. This knowledge will influence plant breeding, with resistance to pests and other stresses in mind. Yasmin is optimistic that her work will contribute to solutions to help address the economic impact of these pests worldwide. She also hopes to influence policy decisions in Bangladesh, and to inspire girls and women to pursue careers in STEM. “I am trying to reach every corner of my country to promote science,” she said. Words: Cooper Schroeder, CLAS Student Communications Assistant | Images: Lynn Roberson, CLAS Communications Director | Top Image: Farida Yasmin (left), with Bao-Hua Song in The Song Lab.